It was my friend Amy’s birthday a few days ago and she was coming to London for a few days, so I offered to bake her something for her birthday. 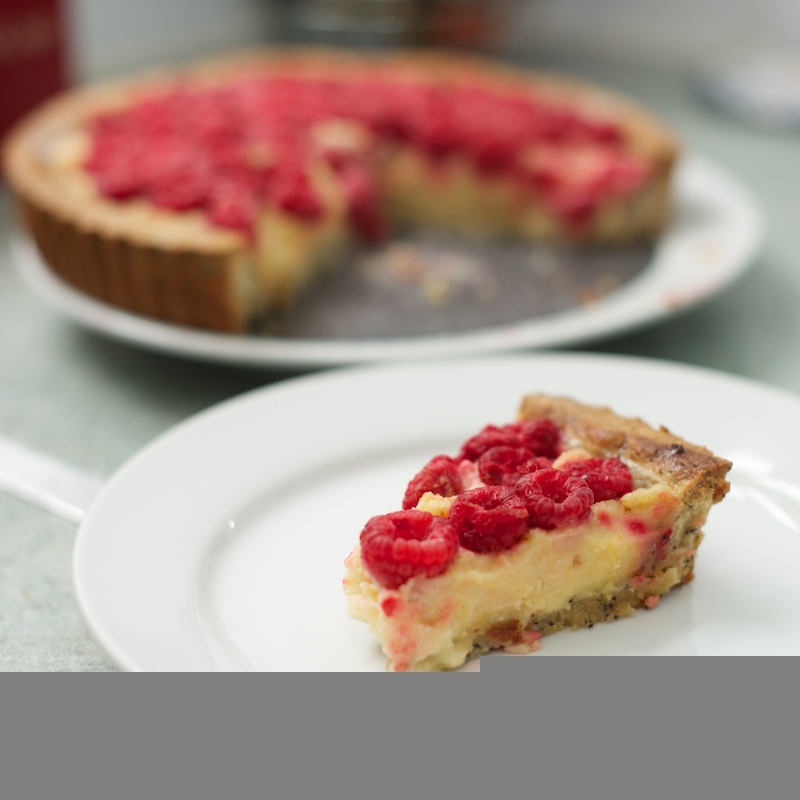 We decided on a lemon and raspberry tart and I chose this recipe from Lorraine Pascale’s book, Baking Made Easy. 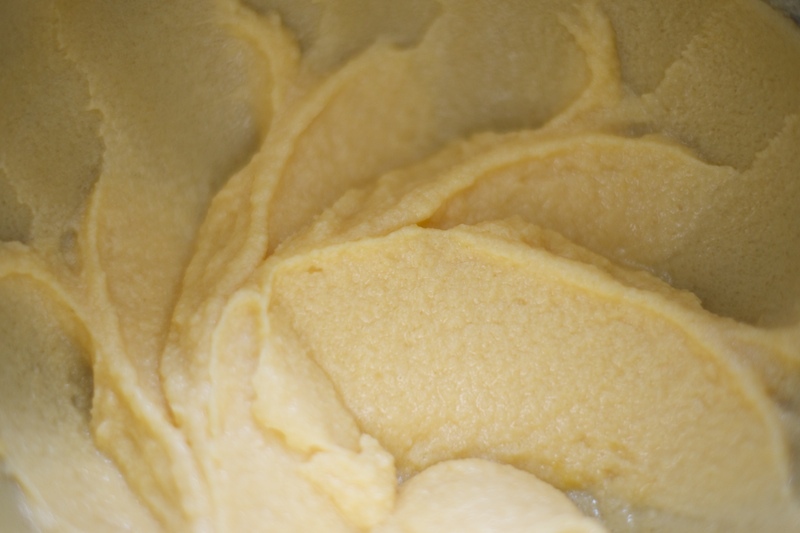 To make the pastry, combine the butter, sugar and vanilla in a large bowl and beat until creamy. Mix in the egg yolks one at a time, then sift in the flour and salt. 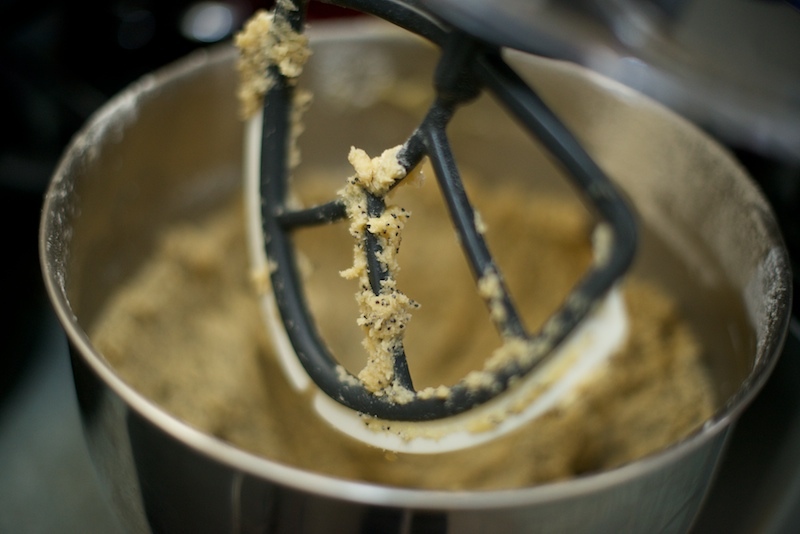 Add the poppy seeds and stir gently to make soft, uniform dough. Shape it into a ball, wrap it in clingfilm and pop it in the fridge for a couple of hours to chill. 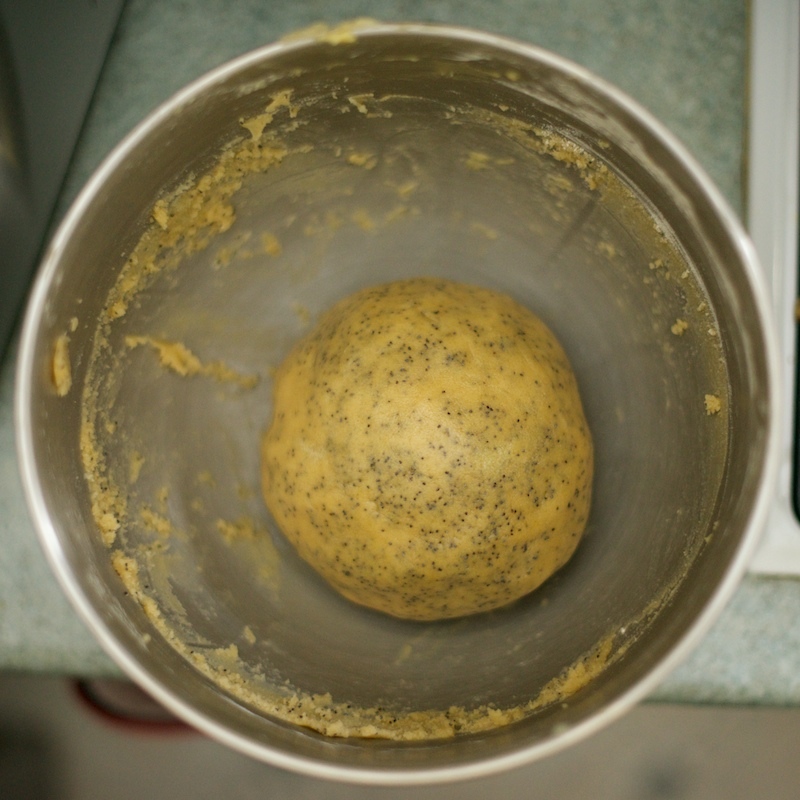 Once the dough has firmed up, remove it from the fridge and leave it at room temperature for 5 minutes. Roll it out until it is about the thickness of a £1 coin. 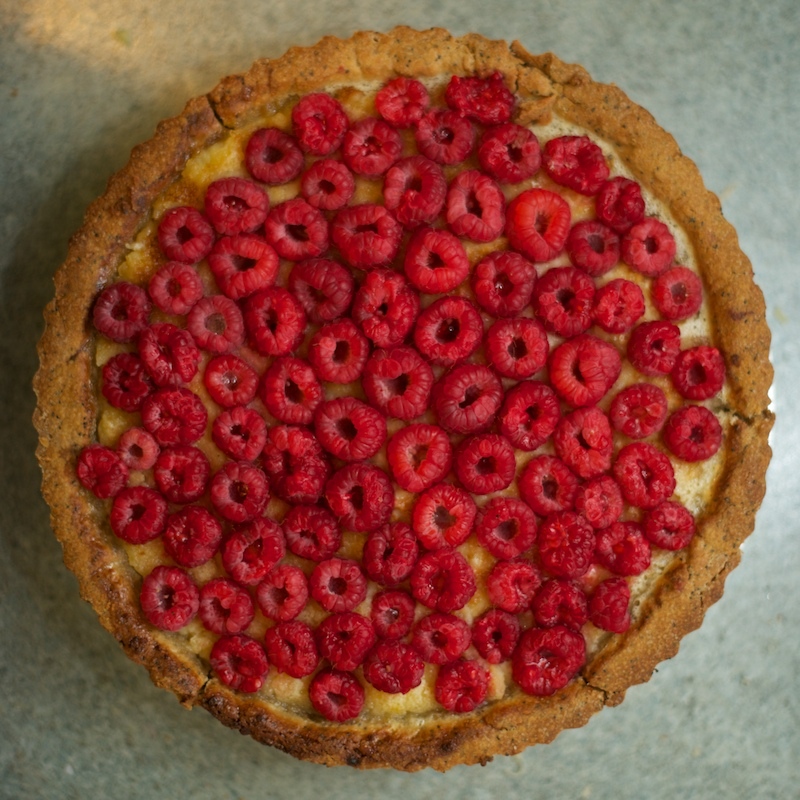 Lay it over a loose-bottomed flan tin and ease it into the corners. 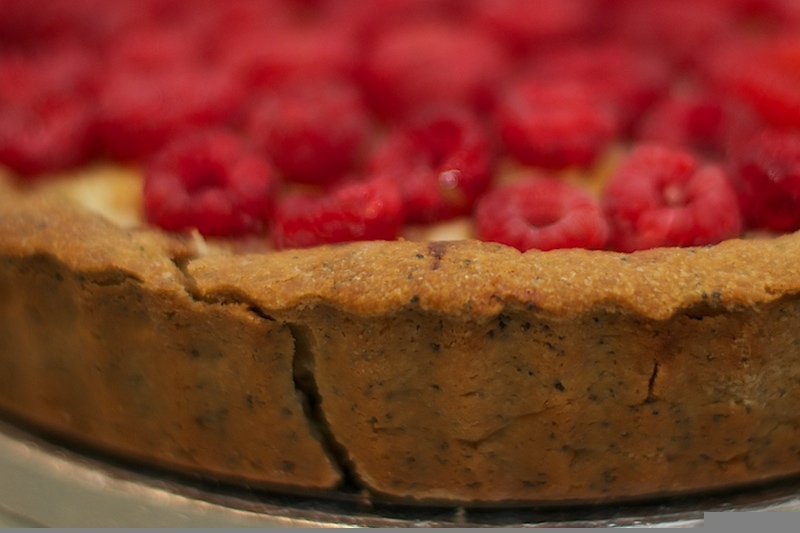 If it splits, (which it probably will) use an odd bit of pastry to patch it up. Mine ended up being a bit of a patchwork job to be honest! 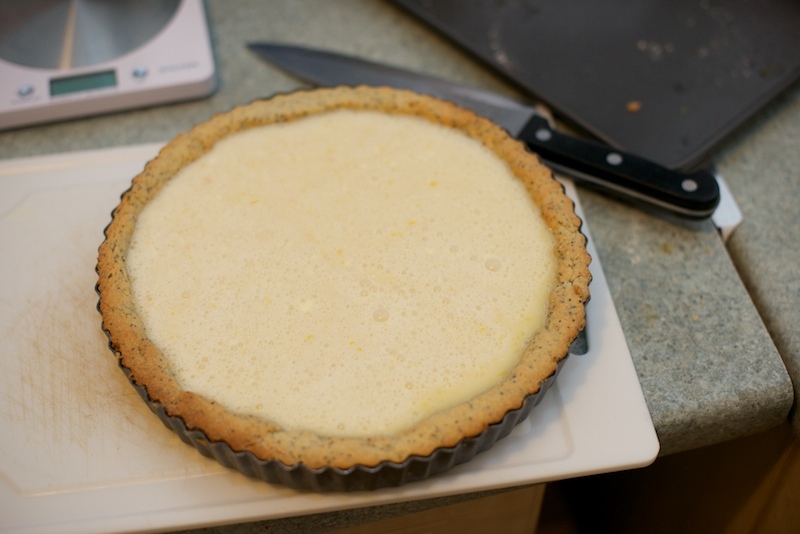 Once the tin is lined, place it back in the fridge to firm up. Preheat the fan-assisted oven to 160c. Remove the tin from the fridge. Place some wrinkled baking parchment and baking beans in the case and blind bake for 20 minutes. 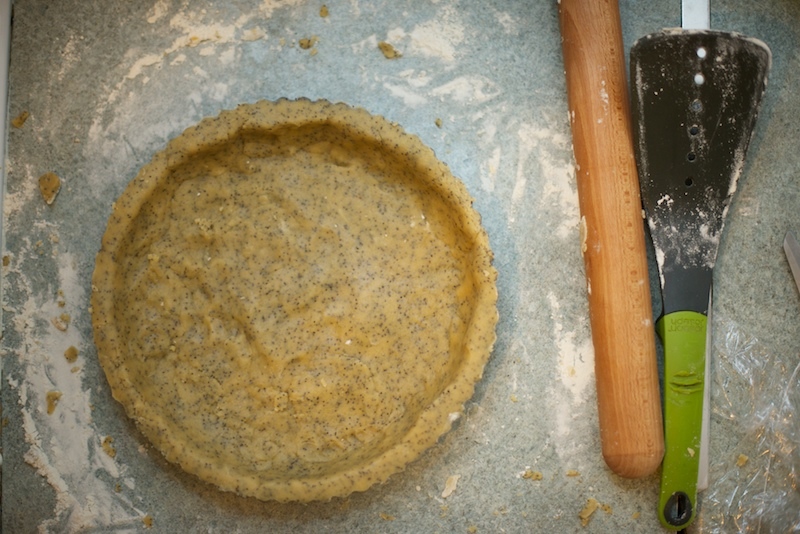 When the pastry is firm, remove the paper and beans and cook for a further 5 minutes. Turn the fan-assisted oven down to 140c. Now to make the filling. 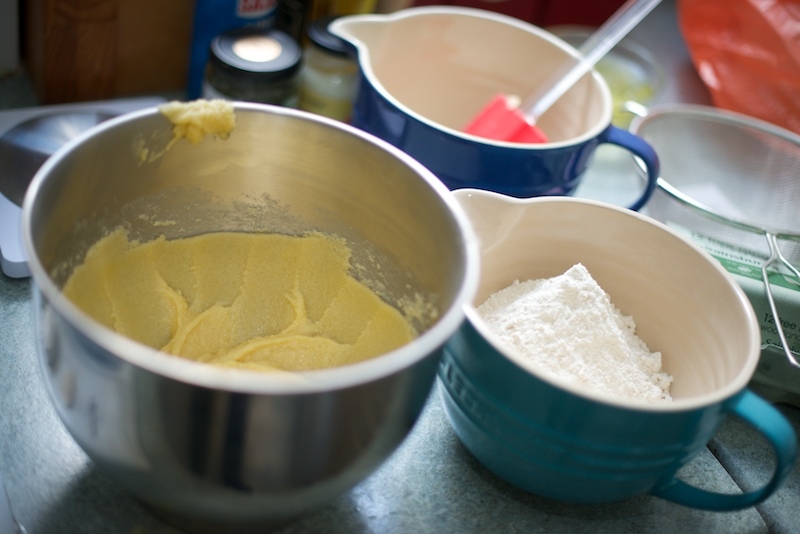 Put the eggs and sugar in a bowl and whisk together gently. Add the cream and whisk for a couple of minutes, then stir in the lemon zest and juice. 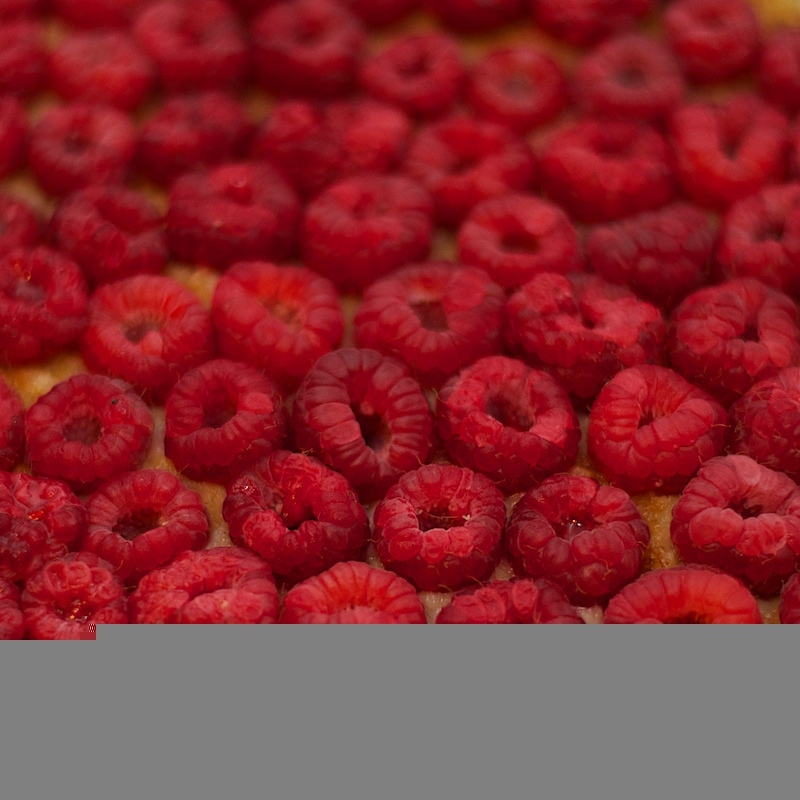 Pour the mixture into the tart case until it’s nearly full and bake in the oven for 45 minutes. 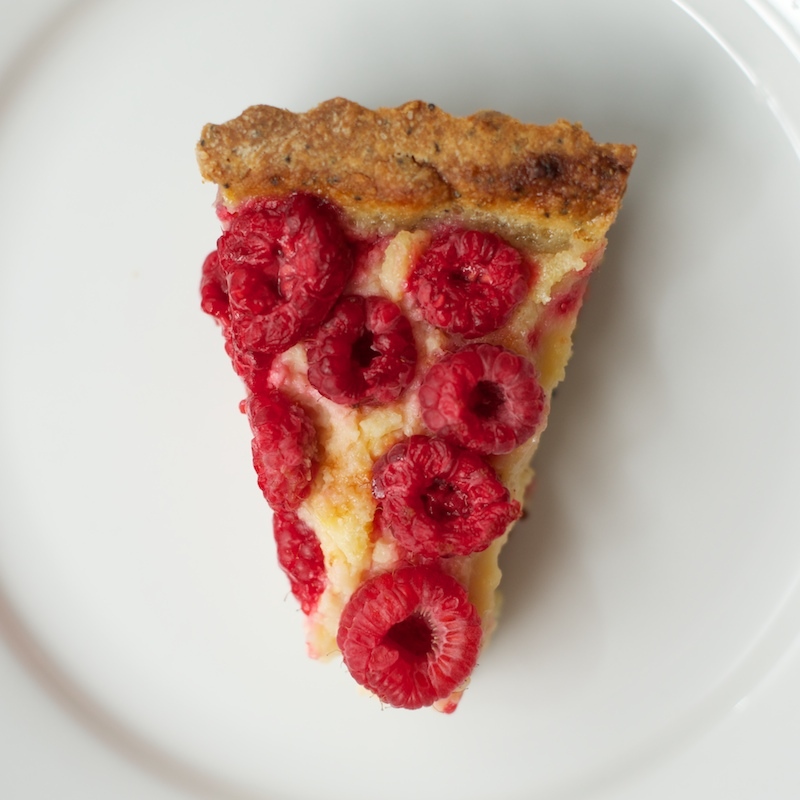 Leave the tart to cool and then decorate with the raspberries. Overall it’s a bit too zingy for me.